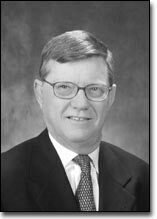 ACCL » Kirksey, Gerald B.
Gerald Kirksey is a licensed engineer in Tennessee and is a former registered land surveyor. Mr. Kirksey initially worked as estimator and project manager for a large international general construction firm and later owned a small general construction firm in rural West Tennessee. After pursuing a second career and graduating from Vanderbilt Law School in 1986, Mr. Kirksey has represented subcontractors, suppliers, general contractors and owners. He currently represents publicly traded companies in merger, acquisition, transactional and construction areas and also advises and represents Tennessee school boards on construction procurement issues. Mr. Kirksey has served as a registered lobbyist in Tennessee governmental work and is keenly interested in the negotiation theory and practice.